The guys at EBusiness Apps – Andre Charland, Dave Johnson, Alexei White – have started a new weekly podcast on Ajax and invited me along for a general chat. They’re usually picking a general topic and riffing on it for a while – this week’s topic is long-term planning of Ajax projects … some companies aim to run their Ajax apps for up to 10 years, so what steps should they be taking to future-proof their apps, manage risks, and what future trends will there be? They invited me along. 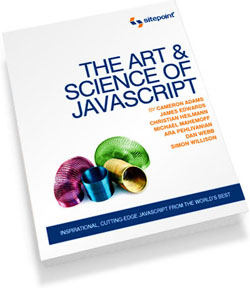 It’s about an hour; the first few minutes are intro and a little discussion about the Ajax Design Patterns book. As far as my own podcast, I should report here that I’ve actually been sitting on two new episodes, but didn’t release as the audio was quite poor on both. In the interests of proceeding with mor pattern podcasts, though, I will get them out soon, even if they have minimal shownotes for now. And getting the headset out again felt good, good enough to record some more. 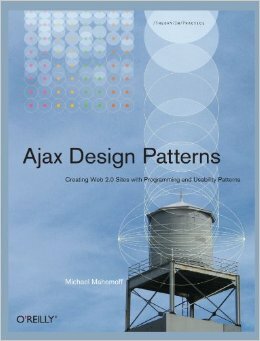 Ten years may sound wacky at first blush, but my first Ajax-style app is just coming up to its 8th year in use. It was based on Microsoft’s Remote Scripting so we later had to replace the Java transport layer with XMLHttp without affecting the RPC abstraction API. We also had to account on the server side for evolution of the Microsoft data access layer from early RDS to various ADO versions etc. I guess my point is that with well-designed abstractions, evolution of the pieces can happen without impacting the app as a whole. Good quality libraries and frameworks can allow you to replace modules and layers at will.